Well, kind of. I am still not able to access Instagram from my phone, so it won’t be ‘business as usual’ for a few days. Truthfully, I need the break. The past few days have been a nightmare to say the least and have left me questioning a lot of things… Is there such a thing as ‘online safety’? – after my experience, I think not…We hand our personal information over to Instagram daily without much thought – photos of ourselves and in some cases, our children. The minute we upload, we are giving that content away and, as I have learnt, it can be in the hands of a nefarious hacker in the blink of an eye. My personal information (some of it very sensitive) was taken from me and was in someone else’s hands for four days and that has left me feeling incredibly vulnerable and anxious. I have made a career out of sharing my life online, so where does that leave me? My gut instinct is to carry on, because I love what I do and I don’t want to let them win, but at the same time I am questioning whether it’s a sensible thing to do after what has happened. Is it even sensible to be writing this blog post? 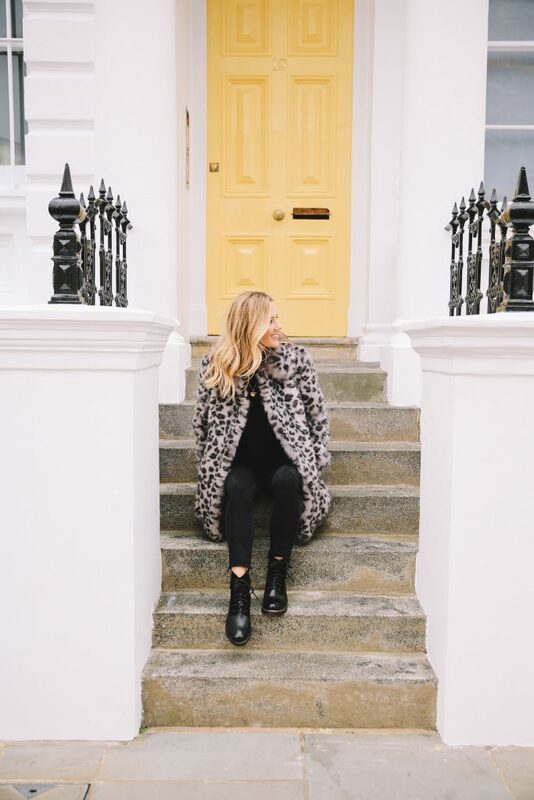 I don’t really know the answer to any of these questions, but I do know that writing my blog makes me happy, so I thought I would bring it back to fashion today and share a few things that have made me go ‘oooh’ recently. I have worn my oversized cream coat that I found in the charity shop so much recently. It’s a size large, so it is big, but strangely perfect in the sleeve length. 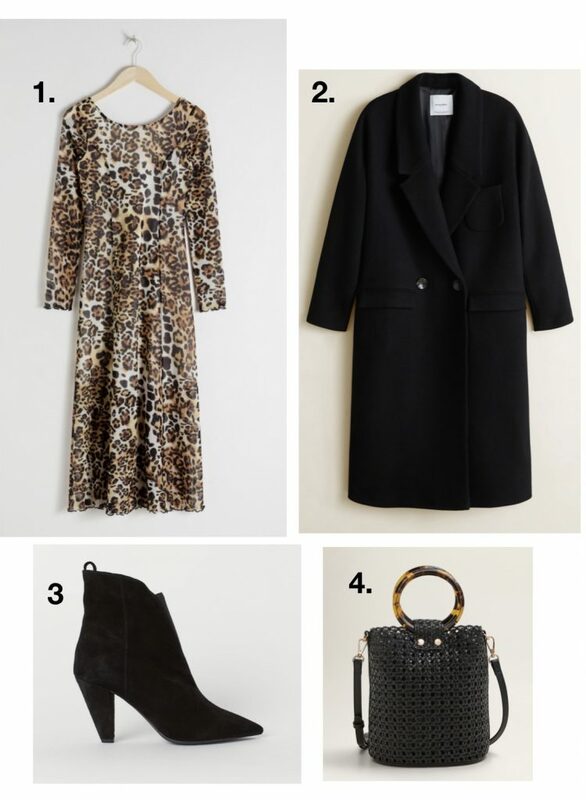 I spotted this one that’s just landed at Topshop (and already trending!) which is very similar in shape and I thought it was a beautiful, soft shade of baby pink. They’re calling it ‘blush’, but that’s not blush pink to me?! Anyway, whatever the colour, it’s pretty! Stories have come up trumps for me recently in the knit department. Great shapes and classic colours and my knits seem to be washing very well. 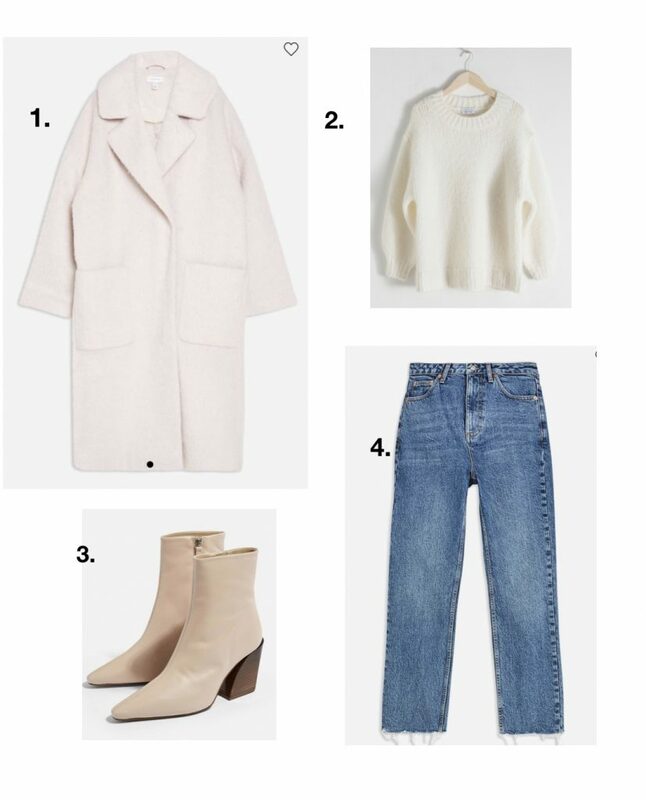 I thought this cream knit looked so soft and if I hadn’t recently bought my cream turtleneck from Stories, I think I would be buying this. 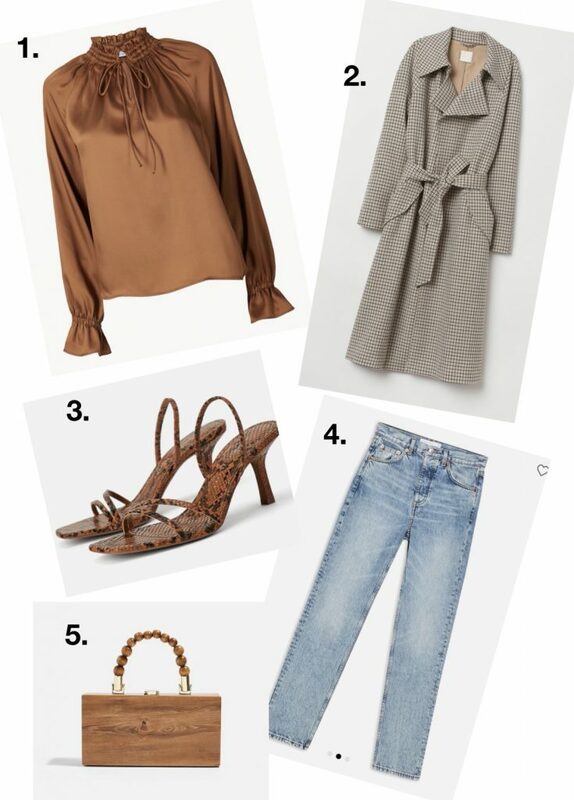 For anyone looking for a new pair of jeans that don’t break the bank, Topshop is always my go to and I’m a huge fan of a higher waist with a straight leg. I find a higher waisted pair of jeans give the illusion of a longer leg and I’ve fallen out with a skinny leg recently. I just don’t think they are too flattering, except when they are black… Go figure?! So that’s it from me today. I have to say it feels really settling to be back blogging about fashion. I was supposed to be writing a blog about my three favourite concealers, but I had decided that it might be easier to film a video for IGTV so that you could actually see the colour and texture of the different concealers on my face. Sadly the hacker has deleted all of my IGTV content (including my makeup and hair tutorials and a video that I filmed with Caroline Barnes and didn’t save!) so I am feeling a little dejected about IGTV. I think perhaps I just need some time to get my confidence back up. Anyway, thank you for being so loyal over the past few days. Everyone that has sent messages, emails, checked up on me, spread the word for me, and generally made me feel that there is a very loving and supportive community out there who have my back. It really has been the silver lining in all of this. So happy your back doing what you do so well with care and thought behind it all ! Great to see you back, Chloe!